We wish to introduce our self as M/s.K V Movers, #77/1, II Floor, Prakasam Salai, Broadway, Chennai – 600 108. One of the leading Packing & Moving, Clearing and Forwarding Agent Company (Air & Sea) handling Household Goods and Commercial Cargo in Domestic and International. We are having our Own Transportation systems for moving all types of goods for Packing & Moving, Loading and Unloading. Our packers will be engaged who are trained in this field for more than 15 years. 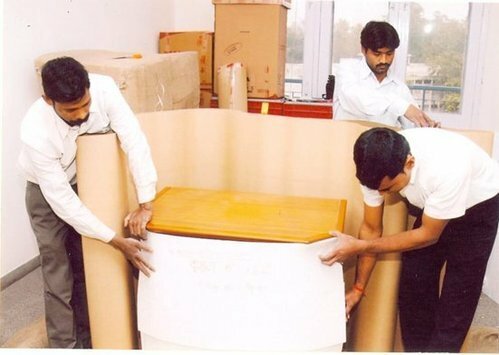 Packing will be using the appropriate Packing Materials of Best Quality such as Carton Box, Plastic paper, Thermocol, Bubble Sheet, Corrugated Roll and Wooden Packing (Crates & Pallets) etc., depending upon the materials to be handled, Insurance coverage during transit will also be arranged by the company for the goods transported if required. On receipt of your enquiry we shall inspect and offer competitive quotation for the Job. We assure you that we shall fulfill all your requirements and complete job within the time frame to the satisfaction of the customers.